Thank you for sharing, 家裡剛好有黑芝麻, 等我這個週末try下先! Christine, 請問橄欖油50克等於多少毫升呢? I really want to try this cake but am not sure how to measure the olive oil. Hi Christine, I really want to try this receipe but am not sure how to measure the olive oil. 請問50克(g)即是多少毫升(ml)呢? 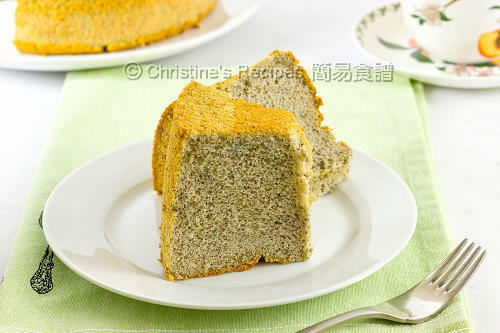 Hi Chirstine, I have tried this recipe, the chiffon cake was so nice, but don't know why everytime i bake (so far have tried to bake 3 times), the top part was a bit wet, i try to adjust my tempreture of the oven but still can't get it. Hmmm....could it be the oven temperature too low, or your cake still uncooked? Try increase the oven temperature a bit. Or when the cake is cooked through, turn off the oven and leave your cake inside for another 5 minutes. See if it helps. 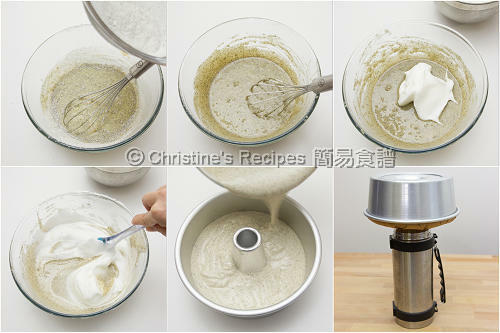 Christine, how can you take the cake out of the cake pan without ruining the side? 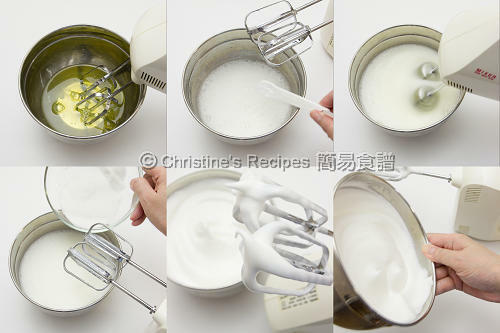 I run a small knife along the side to release the cake from the pan but I always tear the side. Any tips? 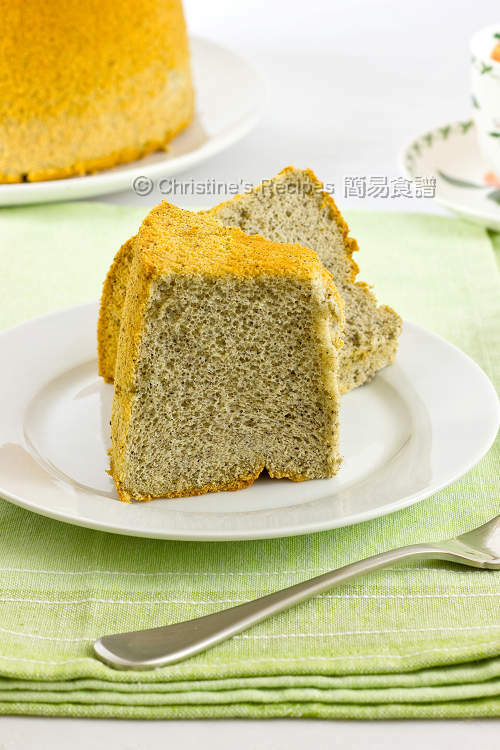 May I ask for an English version of this recipe? 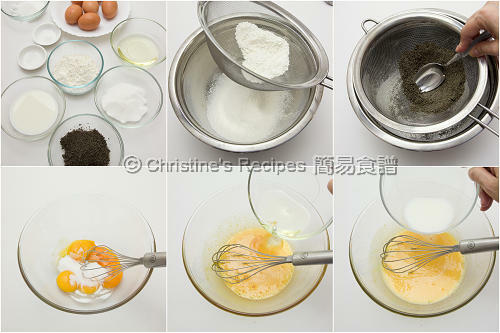 For my friend love it much and ask for the recipe, but she's not able to read Chinese. Will that trouble you much if I would like to have an English version of it? No problem. I've posted the English version of this recipe on my English food blog here. Just hop over there to take a look. I'll pass to her asap.